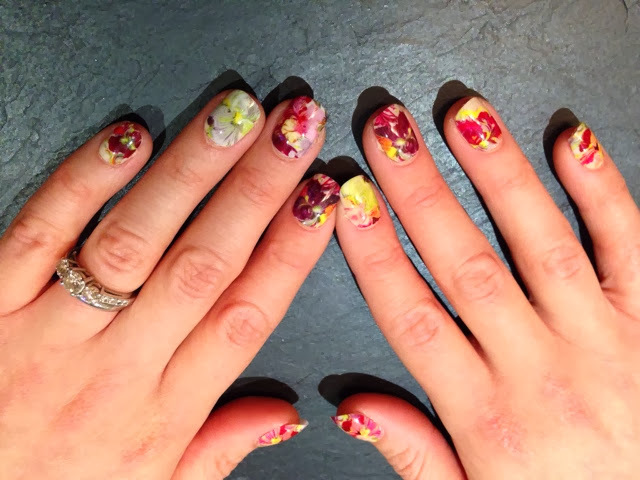 Having spent the weekend decorating, my nails are in a complete state, so this week a fake mani was in order. 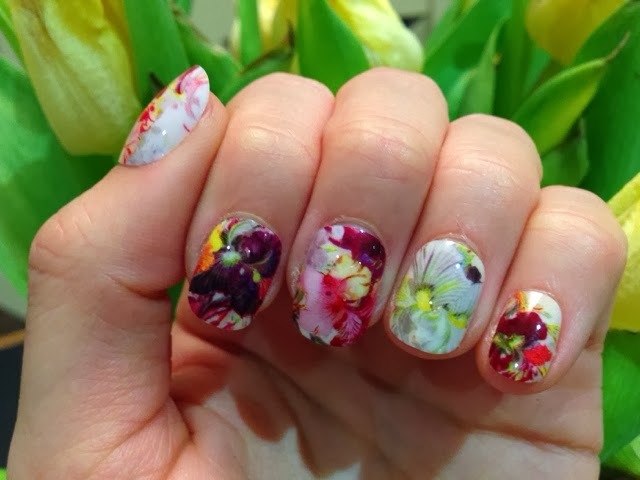 Feeling spring like with the lovely sunshine from the last few days, this floral mani spoke to me. As my nails were feeling so sorry for themselves I couldn't bring myself to use the nail glue included in the Ted Baker kit* and instead opted for some spar adhesive pad I have left over from an Elegant Touch set. 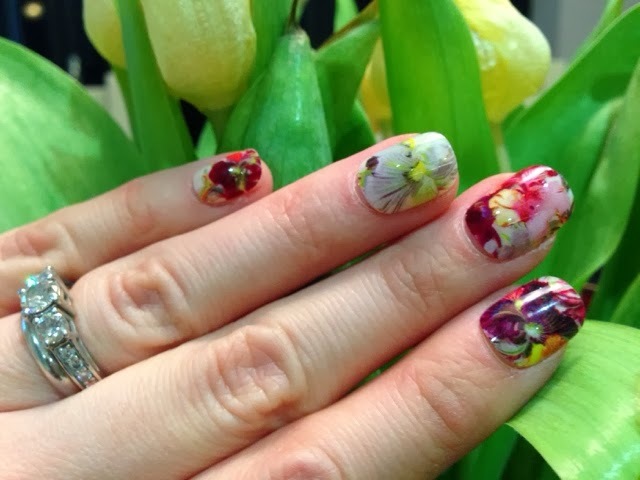 This mani is in a classic Ted Baker print and now it is February, and in my book, officially spring, perfect to be brining in he new season. I'm pairing the mani with a plain black dress and heels to cheer up my Monday morning.